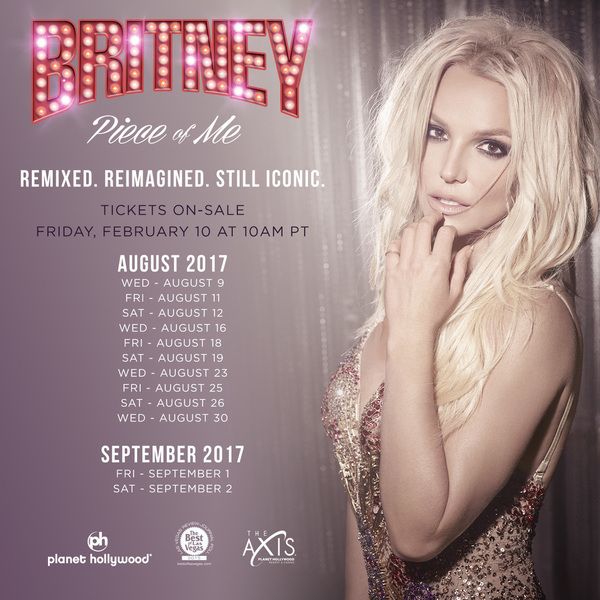 Britney will be back in Vegas this fall with more Piece of Me shows! AMEX pre-sale begins Tuesday February 7 at 10am PT and general on-sale on Friday February 10 at 10am PT. Click HERE for dates & ticketing info!